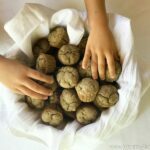 These toddler-approved banana mini-muffins are a perfect breakfast or snack that even the pickiest toddler will devour! 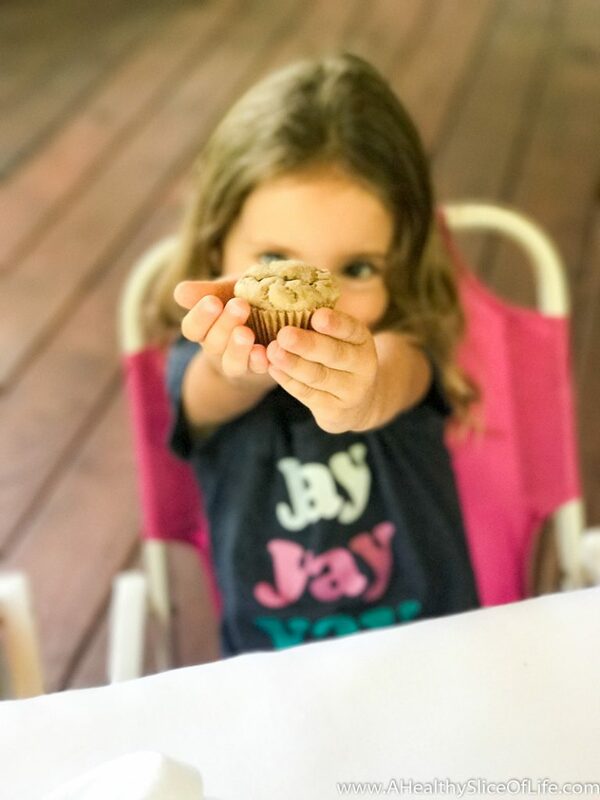 A few years ago, my friend Kelly shared this muffin recipe here on the blog and they’ve not only become one of our family’s favorite recipes, they seem to be beloved by many of you as well! 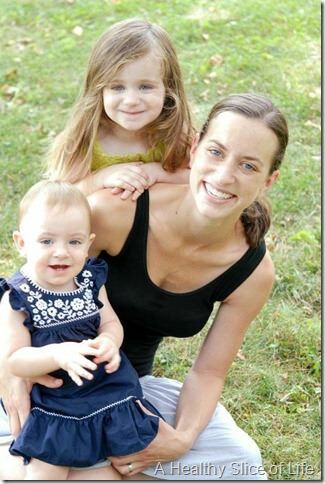 Kelly focuses on helping moms to get healthy and happy by helping them learn to balance motherhood and healthy lifestyle. And like me, she loves to have her kids in the kitchen, helping to cook and bake. When we make a recipe that includes fruits or vegetables, I want to share the recipe with every mom who I know so they can make it too. Is it possible to ever have too many recipes for toddler-approved healthy meals and snacks? 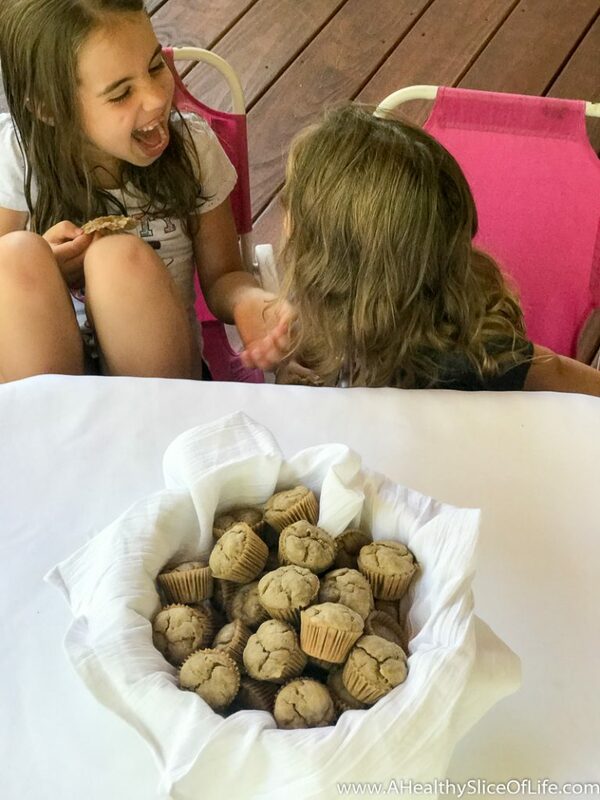 We always have a lot of fun making these mini muffins, and I know your family will like them too. I love it because it’s so easy to change out the ingredients and the muffins have just the right amount of sweetness without turning into a true dessert. I’ve updated the photos since the post first appeared on the blog but the recipe itself? It stands the rest of time. Preheat oven to 350 degrees F. Line mini muffin pans with mini cupcake liners or spray with cooking spray. In a large mixing bowl, combine water and butter. Add flour, brown sugar, cinnamon, baking soda, and salt. Stir in banana. Fill each mini muffin cup about 3/4 full. Bake 15 minutes or until toothpick comes out clean. Cool in pan 5 minutes and transfer to wire rack to cook completely. Store in refrigerator or freeze up to 3 months. What’s your favorite toddler-approved healthy meal or snack? Bonus points if you share a link to the recipe! Thanks for sharing, cannot wait to make these! I’m not quite sure, but I’m guessing it may take 6-8 depending on the size? Did you try them? I did make them. They are great. I used 2 bananas since that was all I had but I think it was good. I use 2-3 medium-sized bananas, but Brittany is right that it depends on their size. 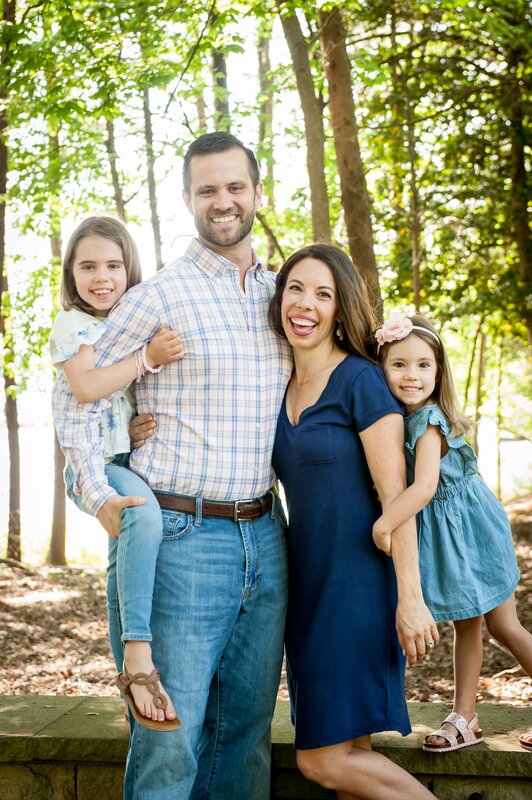 Glad you liked them, Elizabeth! Hey! These are delishious!!! Do you happen to know the calorie count on one muffin! I just slammed down about 5, plus ate some batter! Just curious how much I just ate! Haha!!! 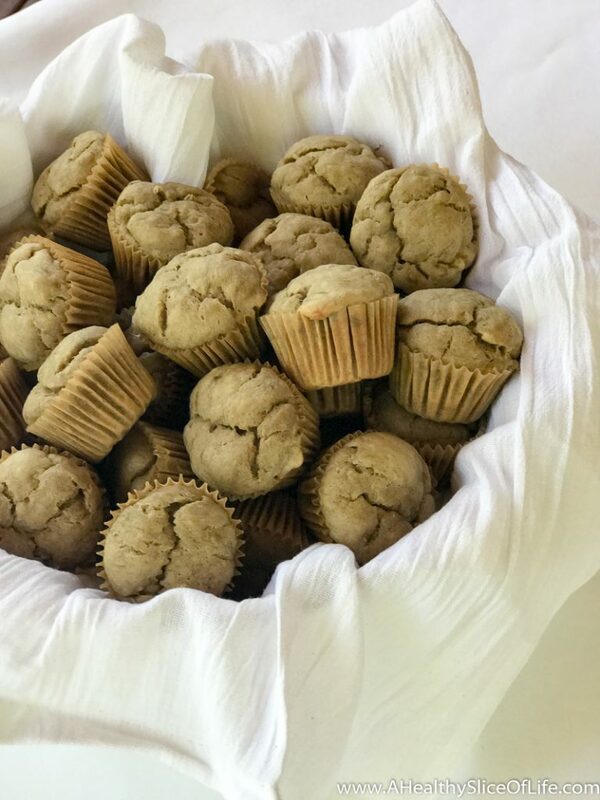 I went ahead and calculated the nutritional info for you…If you make 30 muffins, they will each have: 70 cal, 1.5g fat (1 saturated), 13 carbs, and 1g protein. I counted 2 cups of mashed bananas at 400 calories (which seems like a lot to me, but that’s what I found online) – if you use less, the overall calorie content will be less too. Hope this helps! Hi..thx for ur recipe. They look so yummy! Would lov to try to recipe out for my very first Sunday Toddler Party in the house! ;) May I know what do you mean by combine water and butter? Do I melt the butter first n combine?or mix d RT butter with hot water?or…. Would be lovely if you could clarify for me..thanks so much!! Yen- Both the water and butter are room temperature. “Combine” simply means to mix them together. Hope your toddler party is a huge success!! I found the consistency of the batter weird. May I ask why you suggest combining the water and butter first? Just curious as i have never seen this for the many muffin recipes I’ve tried. Hopefully they turn out delicious! Thanks! So it is ok if the butter are still a bit lumpy after combined with the water? Do you think I could use canola oil and milk with same measurement? And ohhh..I don’t have brown sugar 🙁 can I use molasses sugar or raw sugar? I haven’t tried those substitutions, so I’m not sure how they would turn out. If you try them, please come back and leave a comment to let us know how it goes! These were super delicious! Definitely a keeper! Combined butter and brown sugar in one bowl, dry ingredients in other, then combined those and added water. I will tinker with subbing some coconut oil for some butter next time, and a little applesauce might add sweetness in place of some sugar (I’d reduce water too). Good basis for tinkering, I was pleased overall with the results. Thanks! Glad you were happy with them, Jen! 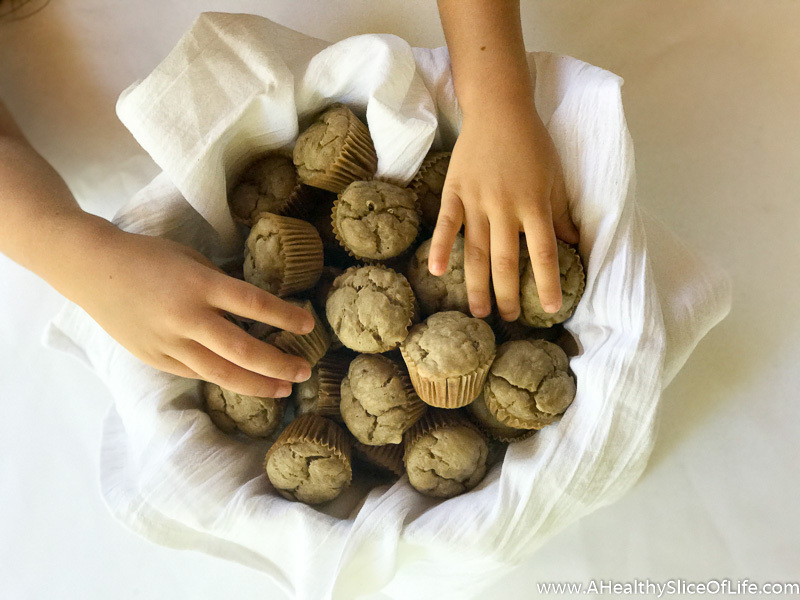 I recently posted a carrot muffin recipe on my newleafwellness.biz blog that you might like to try too, if you like flax seed and applesauce in muffins. Thanks for taking the time to leave a comment with your modifications. I’m wondering if I can use almond flour instead of all purpose flour? Also is there a substitution for the brown sugar? Hi Tracie! I haven’t tried substitutions for the flour or brown sugar. If you try anything, please come back and let us know how they turn out! Made these yesterday, used apple instead of banana cause’ I had lots that I needed to use up. Sooooo delicious! My husband never eats my baked things as he doesn’t like sweet stuff but he ate nearly a whole tray! I also put some lemon icing on top and made them with gluten free flour. This recipe is a keeper, thank you!! Oh no! I’m so sorry to hear that! What kind of flour did you use? Did you make any substitutions? Hi – thanks for sharing this recipe! Baking them now; looking forward to results. Had SO many extra bananas around, finally am happy to find a recipe that will take care of the bulk of them. recipe yielded 20 mini muffins and 6 reg. sized muffins for me. used Red Mill AP unbleached flour this time. Sadly, muffins were too wet to ever fully cook. Like pudding or raw cookie dough on the inside. ièll try to eat them all bc I don’t like wasting. Was hoping for regular, kinda fluffy muffins with a bit of colour to them. Baked at 350 F for 25-35 min. Love this! Been using this recipe for my toddler the past 2 years… but I add oats, vanilla, coconut sugar and oil instead of butter…deeelicious! My daughter loved these! I added about a 1/2 C shredded carrot and used whole wheat flour. Oh carrots- that’s a great addition! I’m so glad she loved them! Thank you for the feedback! Muffins are just ok. Taste like you would think adding a cup of water to a recipe would taste. The only thing that is really changed from regular recipes to make it “healthy” is that it doesn’t have eggs and it has less sugar, so this is perfect for an egg-free household. But if you don’t have egg allergies I’d splurge on a normal recipe with eggs and just add less sugar than recommended.